Whether you’re a bodybuilder, a power athlete, a sprinter, a cyclist, a martial artist or a CrossFit fan and want a creatine formula with the highest content and the most potent formula in the market in order to make your efforts worth, then you have to use CREATINE-X5. CREATINE-X5 contains the 5 most effective forms of creatine that create impressive changes in your body’s development and athletic performance. Its unique formula consists of: creatine monohydrate + micronized creatine + creatine hydrochloride, creatine pyruvate + tri-creatine malate. This powerful creatine combination rapidly increases muscle mass and strength while it also boosts to the maximum your muscles’ ability for contractions. 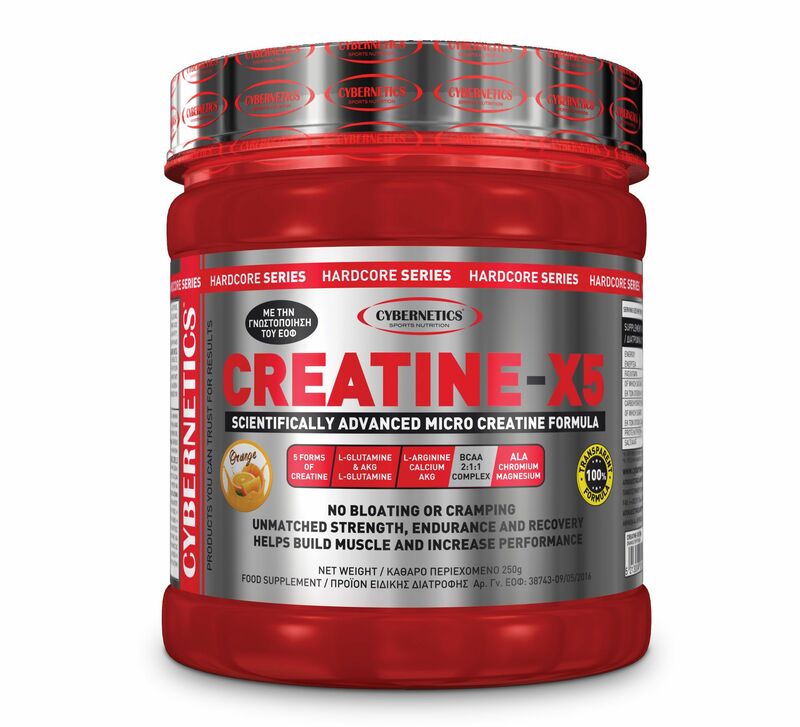 CREATINE-X5 was developed to support the achievement of your training goals and it is certain that the results cannot be compared with any other creatine supplement of the market. Take 1 serving with 12 oz. of water immediately following your workout. If you’re not training that day, take 1serving in the morning when you wake up.